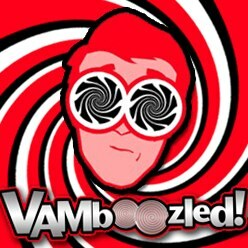 Nevada (Potentially) Dropping Students’ Test Scores from Its Teacher Evaluation System | VAMboozled! This entry was posted in From the Field and tagged Consumer Alert!, History, Solutions, States, US Dept of Education by Audrey Amrein-Beardsley. Bookmark the permalink. Unfortunately, the Democrats lack the numbers to over ride the veto our governor has sworn to use. His chief advisor and hero is Michelle Rhee. He wants student test results to be an even higher percentage of our evaluations. I have already told my administrator that after 25 years I am done, I will not play the test game. I am only 60 and have plenty left, but not under these terms. Nevada is stuck on this and will likely be the last state in the union to let go of this failed notion. An update for you, the bills you highlighted are dead. It was a noble first step to protect public education, but Nevada has never particularly liked the public schools. Retirees and those on limited or fixed income view them as an expense to be eliminated. Perhaps in a few years with a new governor we can try again. In the mean time I know quite a few teachers, including myself, will be retiring rather than be part of the continuing testing fraud. Dr. Beardsley, thank you for covering our campaign to eliminate the use of student test scores in teacher evaluations in Nevada! Your testimony last Monday was very helpful. A quick update from inside the legislature– AB212, our bill to prohibit the use of any student achievement data did not make it out of committee. However, AB320, Speaker Jason Frierson’s bill that reduces the percentage of student achievement data and prohibits the use of student test scores from statewide evaluations (SBAC) in teacher evaluation passed out of committee with 3 Republican votes. So a win on teacher evaluations still look promising!